Pocketfold invitations are a fantastic way to keep all the information cards in order, and not fly out at your guests upon opening! Make it feel like a gift to be opened! The pocket folds do come in other sizes and shapes, including a long landscape card (DL) and a portrait side opening card (C6). 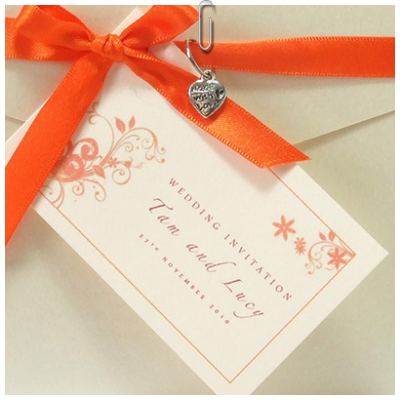 RSVP cards are included in the price and come either as a postcard style or with an envelope.